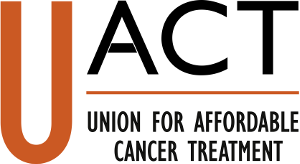 The Union for Affordable Cancer Treatment (UACT) supports deep reforms in the way that medical R&D is funded, including the delinking of R&D incentives from prices of products or services. In the present, however, it is necessary to take measures to reduce prices of medicines that are unaffordable or excessive. Among the measures that governments take to reduce drug prices are so-called “external reference pricing” (ERP) and parallel trade. Both ERP and parallel trade can play a role in lowering drug prices, although the context is important, there are alternatives that can be more appropriate and effective. ERP, or “international reference pricing”, is a term used to describe the practice of considering prices in different countries, when setting prices or ceilings on prices for the domestic market. According to reports by the European Union and various scholars and research institutes, ERP is used in many countries, although the details of implementation vary. 1. When ERP is used, governments should understand that the list prices in many cases do not reflect discounts, and thus overstate prices actually paid in reference markets. 2. For drugs protected by patents, governments should not reference prices in countries with significantly lower per capita incomes, as measured by the World Bank Atlas method. For example, high income countries could limit parallel imports from countries that have per capita income that is less than half of theirs. 3. Limited exceptions to (2) can be made for cases where the purpose of the reference price is to curb an excessive price. Parallel trade is the term given to the practice of importing a product from another country, when manufactured by or with the consent of a holder of a patent, trademark, or copyright who also sells the product at a different price, in the domestic market. Parallel traders buy products in countries where prices are lower, and import to countries where prices are higher. Parallel trade has the effect of moving prices in both markets closer to each other, and can in some cases create shortages in the country where the exports are obtained. Parallel trade is most common in the European Union, where medicines and medical devices are subject to the rules of the European single market. Parallel trade is also used in some countries where domestic prices are high relative to other countries, due to unfavorable price discrimination, inefficiencies in distribution systems, or domestic shortages of products. 1. Parallel trade can be an effective tool to curb high prices in a country that faces unfavorable price discrimination, inefficiencies in distribution systems, or experiences domestic shortages of products, whether or not the products are under patent protection. 2. Governments can and should regulate parallel traders to ensure that products are safe and effective. 3. When products are under patent protection, governments should normally not permit parallel imports from countries of significantly lower per capita incomes, as measured by the World Bank Atlas method. 4. Governments may make exceptions to (3) in cases where the parallel trade is designed to curb an excessive price or address a shortage. 5. Restrictions on commercial parallel trade should not apply to personal importation.